How Do I Find Out If I Have Asbestos Siding? If you’re considering purchasing an older home, you may want to check if it has asbestos siding before you decide to buy. Asbestos siding was very common in North American homes from the 1920s to the 1980s because it was relatively inexpensive, durable, fire resistant, and absorbed paint well. In 1989 however, the Environmental Protection Agency banned asbestos in building products because of serious health concerns like mesothelioma, asbestosis, and other related diseases–almost all conditions are respiratory related. That said, asbestos only poses a health risk when its fibers are airborne, which typically only occurs if your siding is being actively sawed or broken into smaller pieces. Intact asbestos siding on your home poses no health risk as long as it is undisturbed. Dealing with asbestos siding is tricky. Removing it can be costly and may even pose an increased health risk as fibers are released during its removal. Additionally, if you choose to remove the siding, you’ll need to make sure you safely dispose of it as well, which is also costly. You could choose to keep your asbestos siding, but you’ll need to work with a professional to safely contain the asbestos siding within new vinyl siding or another material that can help with asbestos abatement. Either way, for the sake of your health, there’s no ignoring asbestos siding. According to the Environmental Protection Agency, asbestos is a mineral fiber that occurs in rock and soil. Asbestos fibers are microscopic in nature, but they are extremely durable and resistant to fire. The strength of asbestos, combined with its resistance to heat, allowed it to become the material of choice in a variety of products, especially as it relates to construction. Asbestos is now strictly regulated as it is classified as a known human carcinogen. Exposure to this toxic mineral can be directly and scientifically linked to a number of lung and respiratory health conditions. 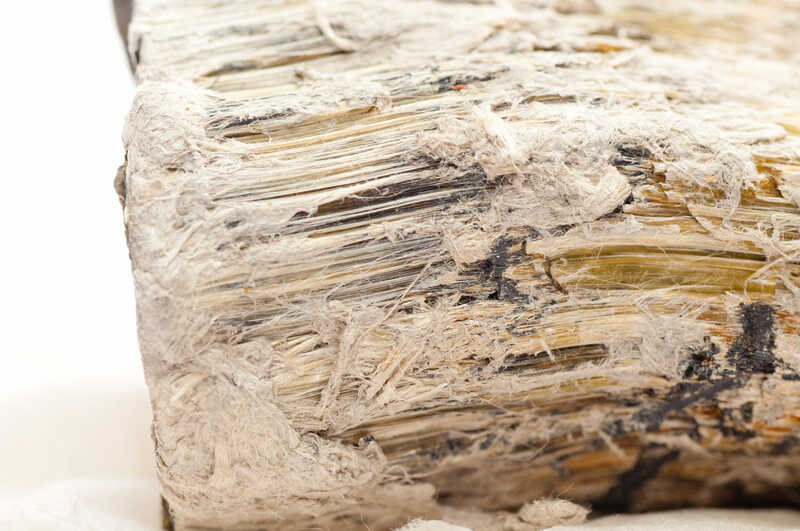 You may be exposed to asbestos fibers during demolition work as well as home maintenance and remodeling which can release asbestos fibers into the air. Asbestos fibers are microscopic, so they are easily inhaled. Once inhaled, the fibers cling to your respiratory system, including the lining of your lungs and inner cavity tissue. As asbestos fibers are typically quite rigid, they become lodged in the soft internal tissue of the respiratory system and are not easily expelled or broken down by the body. There is no safe type of asbestos and no safe level of exposure. Just because your home is older, doesn’t mean it has asbestos siding. In fact, at the height of asbestos popularity, many manufacturers made similar looking cement siding that contains no asbestos at all, so you’ll definitely want to have your home professionally evaluated to determine if you have asbestos. Some states offer free testing for residents, while others charge a nominal fee of $20 or less for testing services. Be wary of any testing service that says they can determine whether or not you have asbestos based on sight alone. Only a laboratory test will confirm the presence of asbestos. Prevent asbestos fibers from traveling by shutting off any heating or cooling units and closing all doors and windows that might create a draft and allow fibers to go airborne. With siding specifically, look for a piece that is at least one square inch that has already cracked, or is chipped or broken off. Label the bag and bring to a nearby testing facility. If you do have asbestos siding, you have a couple of options for how to safely handle the situation. The two most affordable options are: 1) applying new vinyl siding over your asbestos siding to safely encapsulate the asbestos or 2) simply replacing older broken (cracked, chipped, etc.) pieces of asbestos siding with matching panels from GAF and James Hardie. This can save you thousands of dollars and these two manufacturers have panels that will match the wavy and scalloped styles of older asbestos siding. If you feel more comfortable completely ridding your home of asbestos, you’ll need to remove and replace all of your asbestos siding. The cost of this asbestos abatement will vary depending on the total square footage of siding and the type of replacement siding chosen. You’ll also need to pay to safely dispose of the asbestos siding that has been removed. Laws and regulations vary by state as far as asbestos disposal requirements, so be sure to check to see what the process is for disposing of any asbestos siding that is replaced. Your local municipality should be able to supply you with information about asbestos, including lists of licensed asbestos removal contractors as well as landfills that accept asbestos material.